Former Apple chief executive John Sculley sees a bright future for Southborough-based RxAdvance. 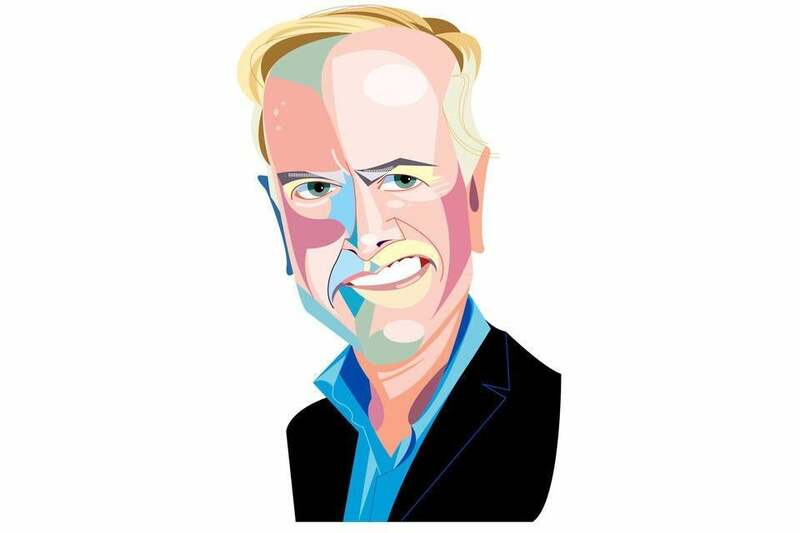 John Sculley foresees a time when RxAdvance, a pharmacy benefit manager in Southborough, becomes a flagship company for the Boston area’s high-tech economy. A bold prediction? Sure. But Sculley knows a thing or two about tech pioneers. Sculley is perhaps best known for his time as chief executive at Apple. Now he is chairman and chief marketing officer at RxAdvance, which he sees as his most interesting career opportunity since he left the California computer company in 1993. RxAdvance, which is primarily owned by founder and CEO Ravi Ika and a dozen other entrepreneurs, wrapped up 2017 with about $500 million in contracted revenue and is “crossing over” into profitability, Sculley says. The company is estimating that it will hit at least $10 billion in revenue by 2020. Ika says RxAdvance expects to employ at least 600 people in 2018, primarily in Southborough, and he’s confident that number will rise to at least 1,600 by the end of 2020. Traditional pharmacy benefit managers, or PBMs, negotiate lower rates for drugs. RxAdvance says it’s more effective because it uses computing power to manage expenses, helping health insurance companies rein in costs. Sculley says he started working with RxAdvance after he spoke at St. Mark’s School in Southborough, his alma mater, more than two years ago. Ika’s daughter was a senior there at the time and asked him for his business card. Sculley lives in Florida now, so he generally works remotely, but he visits Massachusetts at least several times a month. He says he is optimistic that Boston’s tech economy can flourish, in part by relying on its strengths in health care and higher education, putting it on par with Silicon Valley. Nixon Peabody has just recruited another prominent government official; this one will work for the Boston-based law firm at its Providence office. David Cruise, a top adviser to Rhode Island Governor Gina Raimondo for the past three years, will join the 650-lawyer firm, helping clients plan for and respond to government initiatives. The former state senator has held numerous public-sector positions. “He understands the intersection of business and government and can help our clients navigate complex policy and regulatory issues,” Andrew Glincher, the firm’s CEO, said in an e-mail. Like a number of other law firms, Nixon Peabody has attracted several government leaders over the years. Among them: former state representative Jim Vallee; former federal prosecutor Brian Kelly; and former state rep John Fernandes. Scott Brown, the onetime state senator turned US senator for Massachusetts, was arguably the most well-known former pol to join the firm in recent years. Brown, now US ambassador to New Zealand and Samoa, worked at Nixon Peabody for about a year, leaving in 2014 before his unsuccessful run for US senator in New Hampshire. If only Robin Powell Mandjes’s grandmother could see what her granddaughter is up to now. Mandjes says her Mississippi grandmother joined Martin Luther King Jr. and thousands of others in the Selma marches of 1965. She grew up hearing the stories of King’s leadership and activism. Now, Mandjes has the perfect job to honor that legacy. She was just hired to be executive director of MLK Boston, a new group launched by entrepreneur Paul English to build a memorial to King and his wife, Coretta Scott King, in Boston. The two famously met while students in the city. MLK Boston, which is operating out of donated space at the Boston Foundation, faces three important challenges that Mandjes will have a key role in tackling: raising as much as $5 million for the project, picking a location, and selecting the artist who will design it. English, CEO of the Boston travel startup Lola, gave the effort a jump-start, committing at least $1 million of his own money. He remains cochair of the organization, along with the Rev. Liz Walker. City officials are also helping out; the memorial is a priority for Mayor Marty Walsh’s administration. MLK Boston will host a meeting on Jan. 8 at City Hall to gather ideas from the public, and artists are invited to submit initial applications to the city by Feb. 28. Five finalists will get $5,000 stipends to develop their proposals. Can’t keep a secret? Tell us. E-mail Bold Types at boldtypes@globe.com. Follow Jon Chesto on Twitter @jonchesto.